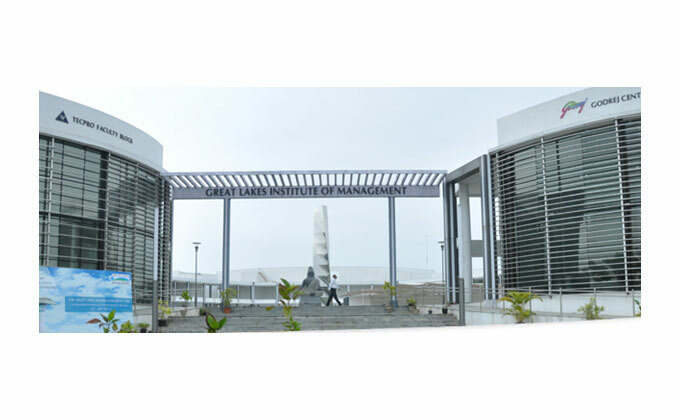 Great Lakes Institute of Management, Chennai, a premier B-school in the country announced the admissions open for its flag ship One Year full time Post Graduate Program in Management (PGPM) which will be commenced in April 2016.Great Lakes’ PGPM has been consistently ranked in the top 10 one year MBA program in the country. In 2014 the program was ranked 7th by both Outlook India and Business Today.There will be two cycles of admission and the deadlines for applying are 30th November& 31st January respectively. Students need to have at least 2 years of experience by 31st March, 2016 for applying and should have valid GMAT/CAT/XAT/CMAT scores. Candidates meeting the eligibility criteria can apply online on the institute’s website www.greatlakes.edu.in. Speaking about the commencement of admission process, Professor Easwar Krishna Iyer, Director, Admissions, Great Lakes Institute of Management, Chennai expressed, “Great Lakes selects students based on overall assessment of the profile, aptitude test, scores and interview performance. This year we will also be focusing on increasing the class diversity. We will be looking at multiple diversity parameters like sector, age, region and gender to ensure a rich peer group in every class. CAT scores of the year 2014 and 2015, XAT scores of the year 2015 and 2016 or GMAT scores taken in and after Jan-2013 will be considered for PGPM 2017 admissions. Candidates should have minimum full time work experience of 2 years by 31st March, 2016.